© 2019 Edmonton Eskimos. All rights reserved. Acquired: Selected in the third round (25th overall) of the 2015 CFL Draft. Re-signed Feb. 13, 2018. 2018: In 11 games (seven starts), Konar finished with 21 defensive tackles, five special teams tackles, one quarterback sack, one interception, one forced fumble and one fumble recovery. 2017: After 12 games (12 starts), Konar recorded 63 tackles, including one quarterback sack, one forced fumble, two interceptions and two fumble recoveries. In the West Semi-Final, Konar recorded eight tackles. In the West Final, Konar recorded four defensive tackles. 2016: Began the season on the 6-game injured list. Activated in Week 8 and played in six games, recording three defensive tackles and one special teams tackle. Went on the 6-game injured list in Week 12. Activated in Week 19. Konar was on the active roster for the Eastern Semi-Final and Final, recording one forced fumble against Ottawa. 2015: Played in five games and recorded one defensive tackle. Placed on the 6-game injured list in Week 15. 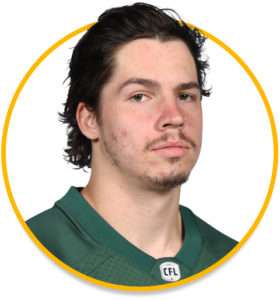 College: Konar recorded 34 solo tackles with an interception and forced fumble with the Calgary Dinos.